XSEED Games have announced that they will be publishing visual novel London Detective Mysteria, that originally released in Japan as ikoku Tantei Mysteria: The Crown. Those attending can enjoy a first hands on demo with London Detective Mysteria during Anime Expo 2018 from July 5-8. This title has been rated M for Mature and will be published digitally for PlayStation Vita and Windows PC in Fall 2018. There will also be a localization panel on Friday (6th), and gamers will have a second chance to try out their E3 lineup. More information about that below. Torrance, Calif. – June 22, 2018 – XSEED Games, the independent-minded publishing brand of Marvelous USA, Inc., today announced that they will be publishing the visual novel London Detective Mysteria, originally released in Japan as Eikoku Tantei Mysteria: The Crown, digitally for the PlayStation®Vita handheld entertainment system and Windows PC in fall 2018. The publisher will be showing off the first playable version of the game in the west during Anime Expo 2018 from July 5 – 8 in Los Angeles, where they will also be hosting an 18+ localization panel on Friday, July 6 at 8:30PM in room WS2/406AB. In addition to showing off London Detective Mysteria, XSEED Games will have their full E3 lineup of games available for hands-on demos including Fate/EXTELLA Link, Freedom Planet, Gungrave VR, Gal Metal, Sakuna: Of Rice and Ruin, and SENRAN KAGURA Burst Re:Newal, plus all sorts of goodies available for sale at their booth. Attendees interested in what goes on behind the scenes with game localization can attend the XSEED Games Localization Panel (18+) taking place at 8:30PM on Friday, July 6 in room WS2/406AB to hear localization staff talk about current projects. Be sure to stay until the end for a Q&A and raffle. 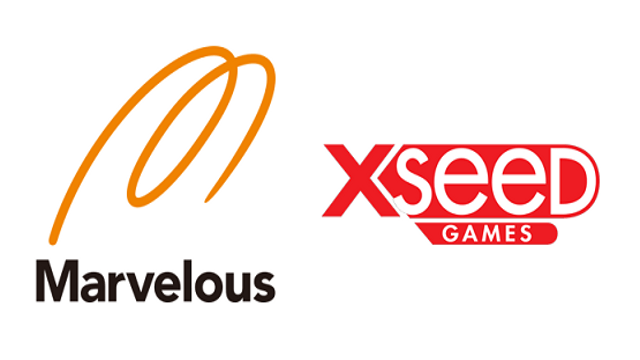 XSEED Games will be located in the South Hall, Booth #4111. The following titles have not yet been rated by the ESRB unless stated otherwise. London Detective Mysteria will be published digitally for PlayStation®Vita handheld entertainment system and Windows PC by XSEED Games in Fall 2018. For more details as they’re announced, please keep an eye on XSEED Games’ social media channels via Facebook and Twitter. This title has been rated M for Mature by the ESRB. Developed by Marvelous and slated for publishing in North America on PS4™ system and PlayStation®Vita handheld entertainment system by XSEED Games, Fate/EXTELLA LINK will release this winter both digitally and physically on PS4™ system and digitally on “PS Vita” system. More release details will be shared at a future time. This title has not been rated by the ESRB. Created by Edelweiss and published in North America by XSEED Games, Sakuna: Of Rice and Ruin is in development for the PS4™ system and Windows PC in North America. This title has not yet been rated by the ESRB. Developed by HONEY∞PARADE GAMES, Inc. and slated for publishing on PS4™ system and Windows PC, SENRAN KAGURA Burst Re:Newal will release this fall both digitally and physically on PS4™ system and digitally on Windows PC. More release details will be shared at a future time. This title has not been rated M for Mature by the ESRB. Developed by GalaxyTrail and slated for publishing on Nintendo Switchby XSEED Games, Freedom Planet will release this fall digitally on Nintendo eShop for Nintendo Switch. More information on the game can be found at http://freedomplanetgame.com/. The Nintendo Switch version of this title has not yet been rated by the ESRB.